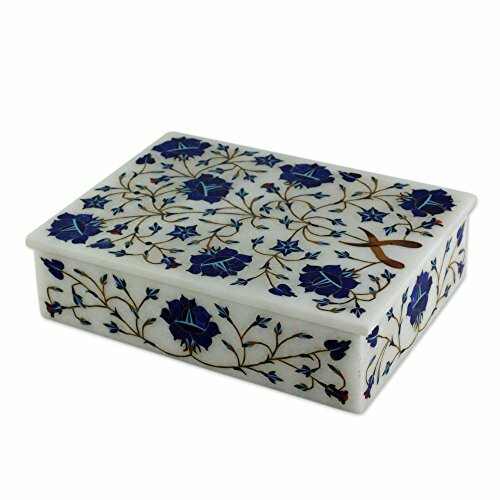 This jewelry box by imran is a stunning example of traditional Indian art. Working with the techniques used in the Taj Mahal, he carves the jewelry box of natural marble and decorates it with a lavish inlaid composition. Please note that once carved, marble may progressively change its original hue from pristine white to ivory.